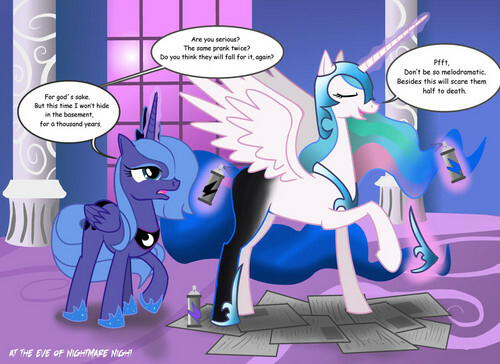 Celestia Pranks Kingdom....Again!?. I KNEW IT!!!! Nightmare Moon was Celestia the whole time.. Wallpaper and background images in the माइ लिट्ल पोनी फ्रेंडशिप ईज़ मॅजिक club tagged: pony my little magic friendship is my little pony friendship is magic mlp.